Many of us slip into habits regarding our ongoing inner conversation – how we talk to ourselves. If our inner conversation is predominantly self-critical, self-judging, putting ourselves down all the time, then changing how we see and talk to ourselves is a helpful step. If this is you, then I strongly recommend that you commit to changing how you talk to and relate to yourself. – taken directly from my book Selfhood: A Key to the Recovery of Emotional Wellbeing, Mental Health and the Prevention of Mental Health Problems – and employ them as I suggest within the download. This Selfhood Affirmations download contains two and a half pages of affirmations, affirmations that I carefully constructed over several months as I was writing Selfhood. Another way to use affirmations is to record them, in your own voice, and listen back to the affirmations. REMEMBER: You don’t gave to believe the contents of the affirmations for them to work. Persistence is key! Make the changes I suggest, make them part of your day, your life. This entry was posted in Blog, News and tagged affirmations, anxiety, confidence, counseling, counselling, depression, health, mental health, mental illness, mindfulness, obsessive compulsive disorder, OCD, psychiatry, recovery, self-confidence, self-esteem, stress, therapy, wellbeing, worry on 15th November 2016 by drterry. Alcohol as an antidepressant??? For more than two decades, I have been questioning the prevailing view of mental health. Many thoughts have struck me over the years. One such thought has been in relation to alcohol. I wondered regarding the effects of alcohol relative to psychiatric medication. For centuries, many people have used alcohol to calm their nerves and “drown their sorrows”. If alcohol was just discovered now, it seemed to me that – given the gross inadequacies in the processes of drug regulation – the drug companies would have little difficulty persuading the drug licensing authorities (the main one being the US Food and Drug Administration) that alcohol is an effective antidepressant, have it licensed, and mass produce it in tablet for as a wonderful new antidepressant. I was therefore interested to come across a video by psychiatrist Professor David Healy of the University of Wales in Bangor, Wales. In this 7 minute video, David Healy – a global expert on psychiatric drugs – asks and addresses the same question I had considered regarding alcohol. In this lecture to medical students, David Healy methodically sets out how alcohol would indeed be licensed and marketed as an antidepressant if it were only discovered now. This 7 minute video is well worth watch, here is a link – https://vimeo.com/59145379 Last 3 days of 40% introductory discounts for depression courses Over one hundred people have enrolled in these courses since there were first published (the mental health practitioners course published on 1st September 2016, the course for the public published about a month later). Feedback has been excellent. Full 30 day refund available (has not been sought by anyone so far). Comprehensive online depression course for mental health practitioners: The 40% early bird discount for the depression for mental health practitioners course was extended to 7th November 2016 to accommodate people who may have only found out the course in the past two weeks due to the publication date of a therapy journal in which the course was described being at the end of October 2016. For detailed information about the comprehensive depression course for mental health professionals click here Comprehensive online Depression course the general public: The 40% early bird discount for the depression for the public course ran out on the 31st October 2016. However, for the next three days, until the discount of the course for mental health practitioners runs out, I have decided to extend the 40% discount for the depression for the public course, i.e. until the 7th November 2016. To avail of this, email me directly at info@doctorterrylynch.com, and I will arrange a coupon for you, so you can purchase the course for £60 + VAT, rather than the £99.00 + VAT at which the course is available to the public. 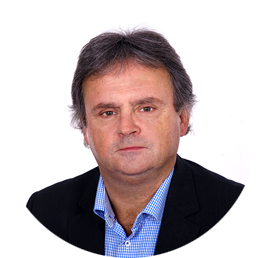 For detailed information about the comprehensive depression for mental health practitioners course click here Best wishes, Terry. Dr. Terry Lynch. www.doctorterrylynch.com Mental health professional, physician, psychotherapist, best-selling mental health author, provider of recovery-oriented mental health service. Member of the Expert Group on Mental Health Policy (formulated A Vision for Change (2006), Ireland’s official mental health policy document). Member of the Implementation Group for A Vision for Change (2006-9), the Second Monitoring Group for A Vision for Change (2009-12), and the Irish Health Service Executive (HSE) Expert Advisory Group on Mental Health (2006-8). Books: Click here for information about my books 1.Selfhood: A Key to the Recovery of Emotional Health, Mental Wellbeing and the Prevention of Mental Health Problems (2011). 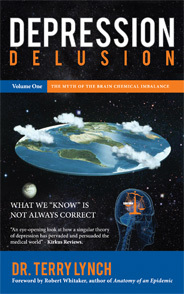 2.Depression Delusion: The Myth of the Brain Chemical Imbalance (2015). 3.Beyond Prozac: Healing Mental Distress (2004). This entry was posted in News on 4th November 2016 by drterry.